Need to lose a few lbs before the Christmas party? If you’re worrying whether there’s still time to squeeze into your favourite LBD before the festivities begin, then formoline L112 can lend a helping hand. 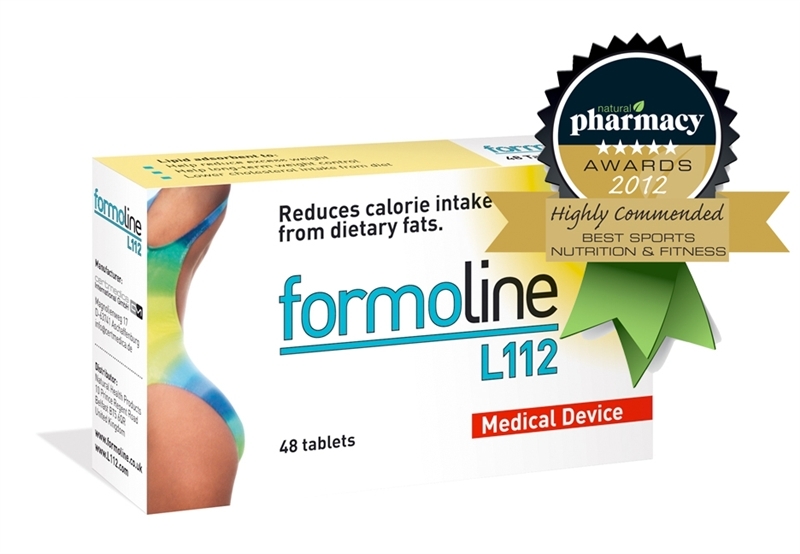 Germany’s number 1 slimming product, formoline L112 is a certified Class lll medical device. But this is no ordinary slimming pill. This is a practical ‘engineering’ solution to an essentially simple but persistent problem: if you consume more energy than you need for your body to function, your body stores the excess as fat. So to lose weight or prevent weight gain you need to reverse that equation. formoline L112 helps you do just that. By using a naturally derived fibre that binds with fats, formoline reduces the overall calorie intake from food by removing a significant proportion of dietary fats at source, in the stomach. The fibre is entirely inert, none is metabolised, and it passes safely through the system with the bound fats, removing them from your body before they are digested. formoline L112 works specifically on fats (not sugar-based foods or carbohydrates) and so is most effective when calories are derived from a diet rich in processed foods that contain large amounts of saturated and trans fats. Unlike some fat-binding supplements, formoline does not require you to be in the close vicinity of a bathroom at all times. Results show a possible weight loss of 7kg over a 4-week period. formoline L112 can be used as part of a systematic weight loss programme or as an occasional use product when it isn’t possible to count calories, such as when on holiday or when dining with friends, and will help you to manage your overall intake of fat and fat-derived calories. It also promotes a feeling of fullness, so users may naturally consume fewer calories. It does not act on the body’s metabolism and is very well tolerated. It is suitable for people with diabetes as there is no carbohydrate exchange value and it can help to lower cholesterol intake. formoline L112 usually costs £24.95 for 48 tablets but I have 10 boxes to give away to 10 of my lovely readers. And if you cannot wait until the competition ends you can use a special £10.00 money-off voucher. Simply go to www.healthstuff.co.uk, order your formoline L112 and type in SLIM112 when you get to the checkout. The promo code is valid until 31st January 2014. So what you need to do in order to take part in this competition? Daily additional entry: Follow me on Twitter and RT the competition message as stated below, and then please leave a comment telling me that you have done so. One obligatory entry per reader + 1 additional entry per day allowed. There will be 10 winners in total. Each winner will receive 1 box of formoline L112 – 48 tablets. HealthStuff.co.uk will be responsible for the delivery of the prizes. Winners will be picked at random and informed within 7 working days from the close of the competition via email or Twitter. Winners will then have 7 working days to claim their prize, after this time, a new winner will automatically be selected. Closing day is 24-11-2013 at 23:59pm, an entry made after this time will not be counted. Look out for notification email or tweet, as you have 1 week to claim your prize. The only diet that has ever worked for me is Weight Watchers – but you need will power – something i dont seem to have right now! I also cut down on the carbs……..and make sure you eat lots of soup! !